St. Sava Serb Fest 2015 is less than two weeks away and before the fest is over, 16 lucky winners will be chosen as cash raffle winners, with one taking home the Grand Prize of $25,000. 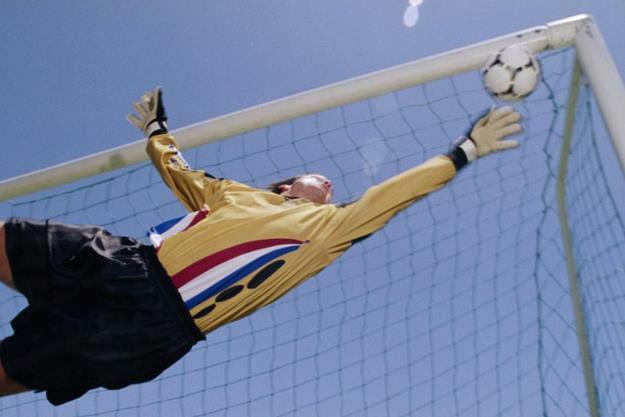 Two “Early Bird Winners” were already selected May 31 and July 12, each winning $1,000. The remaining 16 winners will be selected the last day of the Serb Fest, Sunday, August 2, 2015 at 8:00 p.m. with prizes ranging from $500 to $25,000. To secure your ticket, contact Mike Jaksich at 219-880-6307, David Gerbick at 219-588-3604, or the Church Office at 219-736-9191. Tickets are limited so make your call as soon as possible. St. Sava Serb Fest takes place Friday, July 31 through Sunday, August 2 at St. Sava Church and Pavilion, 9191 Mississippi Street, Merrillville, IN 46410. The Serb Fest Cash Raffle is organized by St. Sava Serbian Orthodox Church, Indiana Gaming Commission license number 138362. The license is on file with the Church Office. 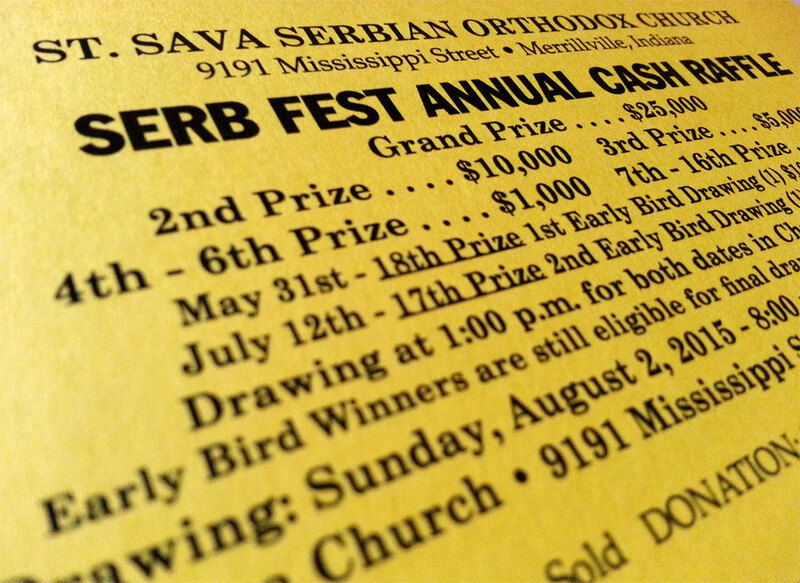 Learn more about the Annual Serb Fest Cash Raffle along with other information about St. Sava Serb Fest 2015 at https://www.saintsava.net/serb-fest/.